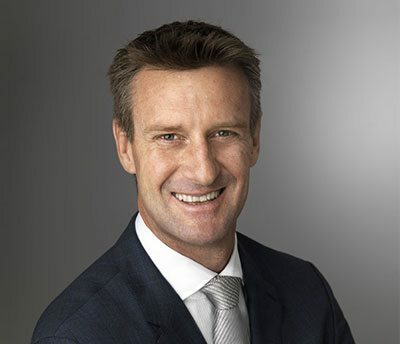 Peter Bennett was appointed as CEO of Clough on 1 February 2016, bringing 26 years’ international experience in the Oil & Gas, LNG and infrastructure contracting service sector to the organisation. His experience spans contracting business process, operational, and corporate leadership. Peter commenced his career as a graduate mechanical engineer with CB&I in Australia. During his 26 year tenure Peter progressed through a diverse range of roles including engineering, project management, business development, operations management, corporate function management and general management. Prior to joining Clough, Peter was President, Oil & Gas International for CB&I, based in The Hague. Peter has run multinational business divisions and has implemented programs to significantly improve cost and operational performance while delivering workforce and order book growth. He has managed global market expansion and M&A programs, and, as the VP of Sales, he set new records for business secured for several successive years. Peter has lived and worked across all of Clough’s strategic growth regions, including Australia, Asia, Europe, Middle East, Africa and North America.